Description: Escape Games: Unknown 2 part 1is the second part in the Unknown escape game series. Find solutions to unknown problems and find missing keys with which you will be able to complete levels in this part. Be prudent to notice the clues and hints and collect the things that you think can be of handy in your problems. 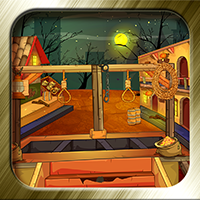 Solve the puzzles smartly and successfully complete this escape game. Have fun!